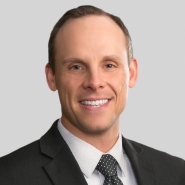 Kent Keitch was recently promoted to senior associate status at Porter Wright. Promotion to senior associate is a significant milestone and reflects outstanding contributions to the firm's continued success. Kent is an experienced real estate attorney who also practices in the areas of corporate lending, commercial transactions, and general corporate and business law. He has significant experience representing financial institutions in repossession and foreclosure actions throughout the state of Ohio, providing counsel regarding real estate title and ownership issues, drafting and negotiating residential and commercial lease agreements, and representing clients in the acquisition and sale of real estate. In addition, Kent has advised several property management companies regarding landlord/tenant and eviction issues and corporate policies and procedures.